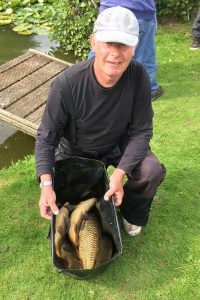 Round 23 comes from Park Farm Fishery. 12 members turn out this week. This was a new watt for all except Mr Dossena who used to own the place so all the pressure was on him. Everybody had pick his brain for some information . So this week it was Mark Charlwood who came out on top. Mark fished peg 1 and caught on the feeder for most of the day and weighed 38lb. Well done Mark (and I got a photo of him this week). 2nd place goes to Ash Dennington. Ash fished peg 5 and weighed 37lb 12oz well done. 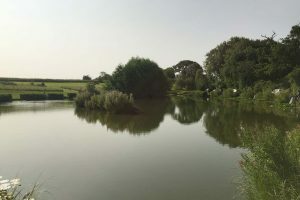 3rd place was Dave Pay Tony Wilkinson, Tony fished peg 3 and weighed 34lb 4oz which was 1oz more than Dave Agass who had 34lb 3oz unlucky Dave but at least you got a pound from me.